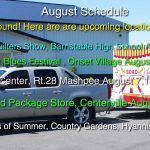 Find new and pre-owned food trucks for sale in Massachusetts. The state of Massachusetts has approximately 6.8 million people meaning there’s a sufficient base of potential customers to support a mobile food business just about anywhere in the state. The main population center of Boston the surrounding cities has the most active food truck scene in the area. 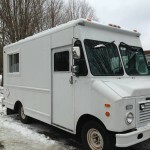 At FoodTruckEmpire.com, our goal is to offer the widest range of new / used inventory within the state lines. Each listings contains important information you need to know including make, model, mileage, cooking equipment, images and detailed descriptions of the condition. Click any of units listed below to learn more.